New York City-based biotech firm AXIM Biotechnologies creates products tailored for the medical marijuana industry. The company has a particular interest in treating neurodegenerative diseases like multiple sclerosis (MS), Parkinson’s and Alzheimer’s diseases. Research shows certain cannabinoids have excellent anti-inflammatory characteristics. AXIM Biotechnologies was recently granted U.S. Patent No. 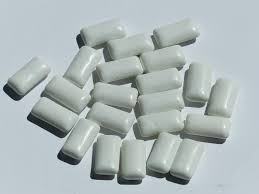 9433601 claiming the use of all cannabinoids in controlled-release chewing gum products. The cannabinoids begin release within three minutes of use. There is growing evidence showing the act of chewing itself can have some effectiveness in slowing the process of neurodegenerative diseases by releasing hormones serotonin and dopamine, improving concentration and reducing stress.